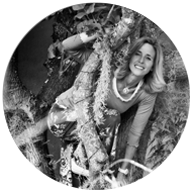 The creator and owner of Black Sunbird, Mandy Morton is a landscaper by profession. She has had a life-long love affair with nature and all aspects associated with its beauty, versatility and magic. Black Sunbird is inspired by South African wild life and driven by a real passion for beautiful spaces. Black Sunbird’s original designs of homeware are laser cut, screen printed and manufactured locally, out of a wide range of materials culminating in a dynamic collection of functional, nature-inspired art. As concrete jungles and the urban sprawl increase, we humans feel the need to surround ourselves with images of nature for emotional, psychological and spiritual wellbeing. Using designs and drawings that reflect and celebrate nature, Black Sunbird aims to showcase South Africa’s natural heritage in ordinary household items.